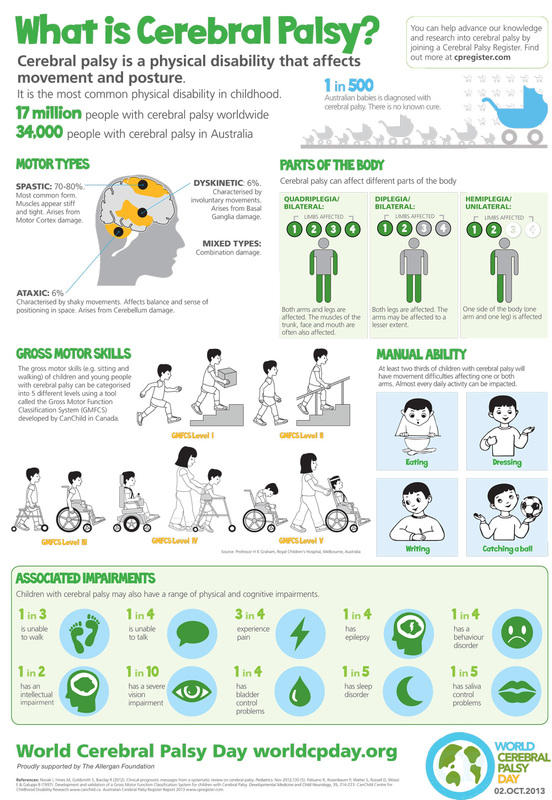 Cerebral Palsy is a neurological condition causing physical disability in the human development. This affects the ability of individuals to make movements and maintain posture and balance. Individuals suffering from this condition may also experience difficulty in moving and walking. They also have troubles when doing a series of tasks like using scissors, writing and more. Common symptoms are difficulty in swallowing, sucking or eating, seizures, hearing problems, eyesight problems, abnormal muscle contraction and bad balance or coordination. She was a representative of USA in the Miss USA Pageant 2008 and was born with a Cerebral Palsy. Her condition did not stop her from being an inspiration to women and young girls with challenges and special needs. Despite the condition, Curran never failed to let others realize that they can successfully compete with anyone else. She is an activist and an Australian author. She developed Cerebral Palsy due to birth injury. She never allowed her condition rule her life; instead she continued her advocacies. She also used her talent in writing to write books with interesting and inspiring contents. This man spent early years playing his favorite sports. He got the shocking news telling him that he might not have the chance to reach the age of 20 because he was diagnosed with Cerebral Palsy. But despite this, Bonner Paddock has become the first ever individual with this condition who reach the summit of freestanding and the tallest mountain in the world. He is a man who proves that life is possible without limits. He is a famous comedian who is capable of entertaining viewers despite having Cerebral Palsy. Instead of being bothered by his condition, he made this as a strong foundation of his remarkable life story. She is a motivational speaker, author and an award-winning performer who is diagnosed with Cerebral Palsy. Despite her suffering, she still manages to inspire others especially the community of Cerebral Palsy sufferers. A well-known poet and author who developed Cerebral Palsy during the time he was born. Based on records, the condition was triggered because oxygen deprivation. Cerebral Palsy is a complicated condition that characterizes different severity levels and varieties of symptoms. Being famous does not give individuals the assurance that they will be spared. Famous as they are, they still suffer however these prominent people from different respective fields never allow the disease to define them and take control of their life. These individuals diagnosed with Cerebral Palsy have chosen to continue living a more meaningful life in spite of a stressing condition and situation in life. They have been an inspiration to others who are slowly losing hope. These individuals are also constant reminder that life has to go on despite challenges.